Please forgive me for what I am about to do. Over the past five years, during which I’ve written nearly 500 blog entries, the least popular among them, according to the page views, have been those concerning music. People don’t seem to like reading about music, and worse, about classical music. But today, I’m going to do far worse. I’m going to write about the Second Viennese School — the so called “atonal” and twelve-tone composers who have been blamed for destroying serious music in the 20th century. The three primary composer in this supposed school are its founder, Arnold Schoenberg, and his two students, Alban Berg and Anton Webern. There are many things to be said about them, not the least of which is that they are three very different artists, whose music can hardly be mistaken for each others’, but what I am most interested in doing is undoing the misunderstandings about their work, primarily about Schoenberg’s music. Because I want to say at the outset that I find Schoenberg’s music — for the most part, and there are exceptions — ungodly beautiful and moving. Schoenberg shares with Johann Sebastian Bach that the most common and simple-minded things said about them are patently untrue. People, even those who should know better, believe that Bach’s music is somehow mathematical and logical, whereas if you have ears to hear, you find some of the most irrational sounds, and deeply and profoundly emotional music ever penned. Bach’s music is not rational, but Baroque, which means florid, extravagant, formally adventurous, like the extended keyboard cadenza of the Fifth Brandenburg, or the unpredictable trailing series of odd comet-tails at the end of the C-minor Prelude of the first book of the Well Tempered Clavier. Schoenberg, likewise, is seen by those who don’t know his work well enough, as dry, academic and formulaic. And, because Schoenberg in his later career, came up with a “system” of writing music, he is also seen as somehow dry, academic and formulaic, as if his music were somehow a hyper-complex form of sudoku. 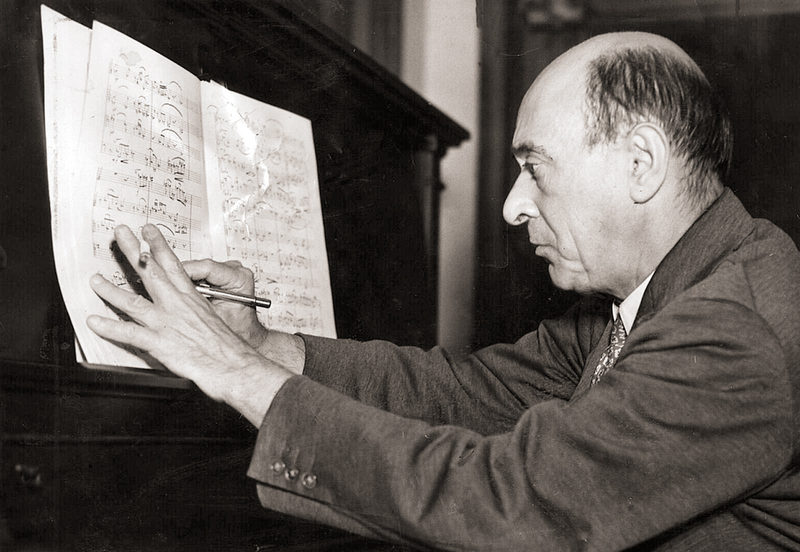 In fact, Schoenberg is a hugely Romantic composer, whose music — again with a few exceptions, is as emotional as the most fraught moments of the St. Matthew Passion. Another similarity between the two composers is that Bach, before Schoenberg was one of the most dissonant composers in music history. We’ll get back to that. But first, let’s look to Schoenberg’s actual career and output. His first works, which were enthusiastically received when premiered, include such late-romantic period pieces as the Gurre-Lieder and Verklaerte Nacht, which are both so fervent and passionate that they make Wagner’s Tristan sound like Haydn. Gurre-Lieder is a huge undertaking, lasting almost two hours, with 150 orchestra players, including 10 horns and 6 tympani, and another 200 singers in the choir. It was first recorded by Leopold Stokowski in 1932 and it took 27 sides of 78 rpm discs. Gurre-Lieder has since been recorded scores of times, but each is a major event. 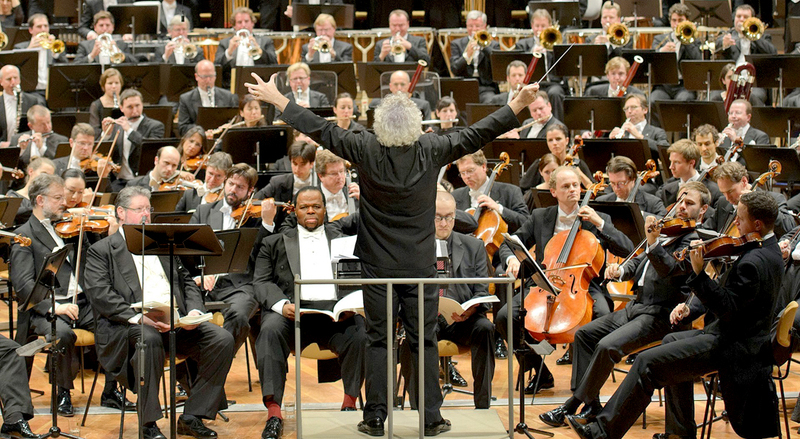 The music is profoundly chromatic, taking up where Wagner left off. But, for all that, it shares with the music of Gustav Mahler and Richard Strauss the orchestral complexity and harmonic richness of late Romanticism. Verklaerte Nacht (“Transfigured Night”), written originally for just six string players and later orchestrated, is less expensive to perform, and therefore gets frequent hearings in American concert halls. I once heard the New York Philharmonic under Kurt Masur play it, and I was overwhelmed. The music has both such power, and such shimmering surface beauty, that it is hard not to have your breath taken away. But, of course, it is not this music that most people think about when they think of Schoenberg. Actually, it isn’t really the music they think about at all, but the theory, the words, which can sound mechanical, whereas Schoenberg’s music is anything but. Which brings us back to JS Bach. Schoenberg hated the term, “atonal,” and for good reason — his music remained tonal throughout his career, although in a complex and disorienting way. Bach, again, was a hugely dissonant composer. Just take any of his chorales and play only the off-beat chords and you find it sounds rather like Schoenberg. With all those appoggiaturas, passing tones, suspensions and pedal-tones, notes grate on other notes constantly. But the containing tonality of Bach’s language means that these dissonances are always resolved, so the overall effect is one of consonance. But just look at those notes on the page: constant and pungent dissonances. With the emphasis on chromatic modulation in Schoenberg’s music, it led him to create music that uses the expectation of dissonance resolution to keep us hooked-in to the harmonic sound-world of Western music, while never letting us reach that final resting place. It is akin to keeping the 12 pitches up in the air like a juggler, with no way to stop. This creates strong emotion in the listener; it is often a nagging, unpleasant emotion, one of alienation and anxiety, but that doesn’t mean it isn’t emotional. 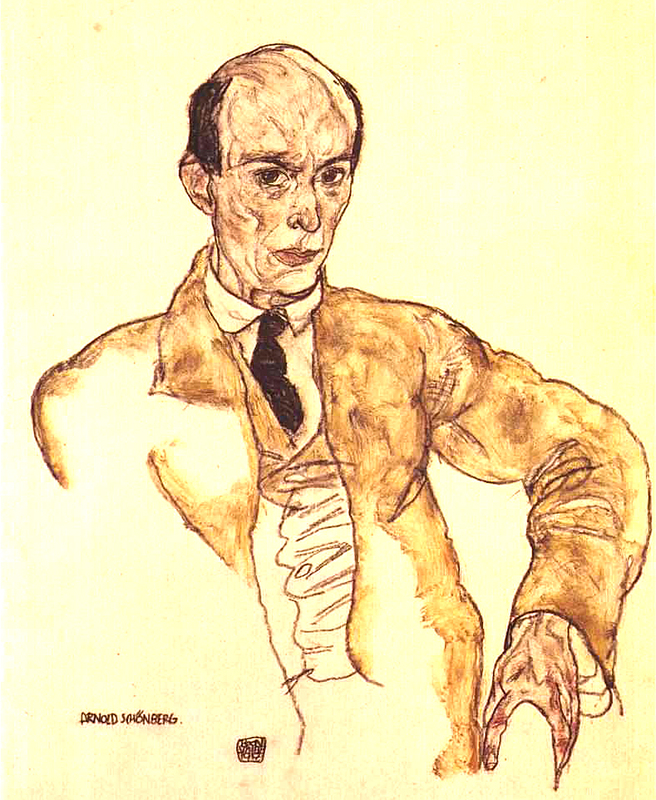 Schoenberg felt that the emotions appropriate for the 20th century — a century of war, genocide, deicide, dislocation and fear — should be appropriate to its era, and its music should explore these honest emotions rather than playing to the sweet-and-light expectations of audiences used to Dvorak and Schubert. So, Schoenberg’s music uses the expectations of harmony and subverts them to create emotion. It is hardly dry or mechanical; it is in fact, often unbearable, not because it is ugly, but because it strikes so close to the bone, so unnerving in its accuracy when conveying such emotions. Just listen to A Survivor from Warsaw, or the second string quartet, or the piano concerto. This is great music, of profound and raw emotion. The method so decried in the latter half of the 20th century is serial technique. With his first so-called atonal works, Schoenberg found it was harder than he thought to escape the apparent resolution of his dissonances into the schema of major-minor tonality, and sought a way of ensuring he could avoid being heard as writing in a key. So, he invented — slowly over several decades — dodecaphonic composing. In its simplest form, it requires the composer to use all 12 tones of the octave serially, before using the first tone again. A “tone-row” would create a repeating pattern of those 12 notes that substituted as a kind of melody, or at least a kind of content for the music. It is his acolytes who took up the cudgel of 12 tone music and hammered it home with such relentless humorlessness that it practically destroyed concert-hall music. Serialism was extended to include not only pitch, but rhythm, also, destroying any ability for an average educated listener to comprehend the music as an esthetic pattern. But, that is later, and a misapplication of Schoenberg’s example. His two primary apprentices each took 12-tone music in divergent directions. 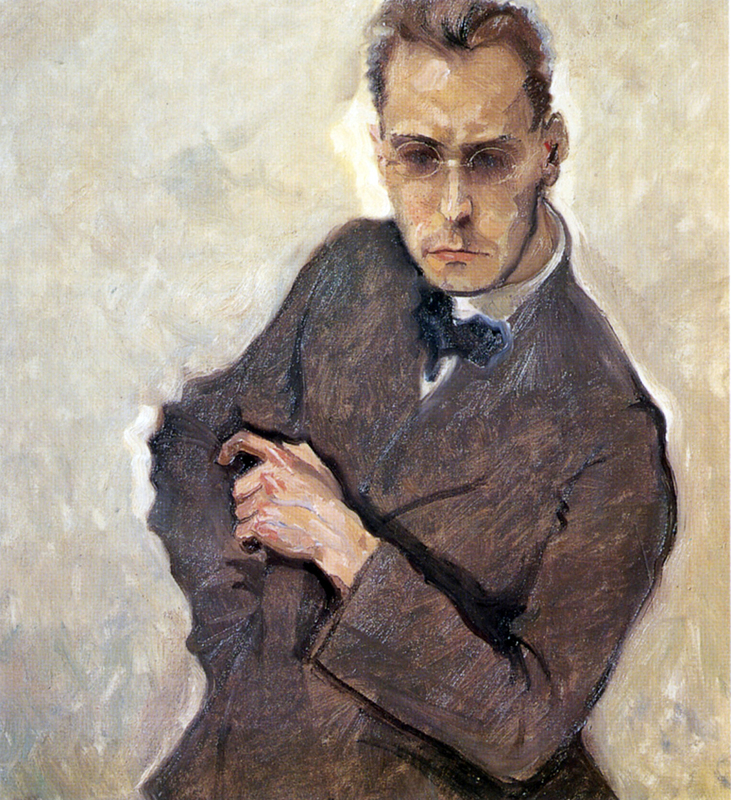 Alban Berg managed to force 12-tone music into a harmonic framework, the way Schoenberg had attempted to make impossible; Anton Webern gave up tonality altogether and began exploring timbre and pitch as tantalizing new sounds, in an of themselves: If you want music as sudoku, it is with Webern you should travel, not Schoenberg. Berg was, if anything, more romantic than his mentor. His operas, Wozzeck and Lulu, are shattering emotional experiences, and his violin concerto is one of the most noble and profound pieces of music written in the past 100 years. In the concerto, Berg arranges his tone row in such a way as to make major and minor triads almost inevitable. To create his organizing tone row, he stacks on top of each other, a G-minor chord, a D-major chord, an A-minor, and an E-major chord, and follows them with a tail that plays out the beginning of a scale. Throughout the concerto, the 12-tone technique manages to imply tonal centers. Webern, going in the opposite direction, uses his tone rows to make delicious pings and squawks in the orchestra. To those who love it, the music scintillates. What you enjoy in it are novel sounds and novel arrangements. Whereas Berg is on-the-sleeve emotional, you could believe that with Webern emotion is irrelevant to music. (The composer would disagree). It is Webern’s brand of serialism that took hold as the century progressed, and taken up by such later composers as Milton Babbitt and Pierre Boulez. If you have a problem with such music (I find Babbitt’s music tedious, but Boulez’s Répons is glorious), then blame Webern, not Schoenberg. It is certainly true that you probably don’t want Schoenberg’s Pierrot Lunaire playing in the background while you serve dinner guests, or listen to the String Trio through headphones as you sit back comfortably in your easy chair to spend an hour reading Proust. It isn’t easy listening, nor was meant to be. The music demands your intense attention, both intellectually and emotionally: You must give yourself over completely to the music, and then, you will discover one of the great composers, a colleague of Bach, Mozart, Beethoven, Wagner and Mahler. Thank you! Keep educating me. 😃 Seriously, I love classical music, but I don’t know much about it, posts like this one hits the bull’s eye for me. It widens my horizon (can’t say I’ve ever listened to Schönberg, but that’s about to change). Interesting also what you have to say about Bach, a composer I love deeply (and which my young organist son is delving into, to his mum’s great delight). So maybe most people don’t care for posts like this, but I live them. Keep them coming!